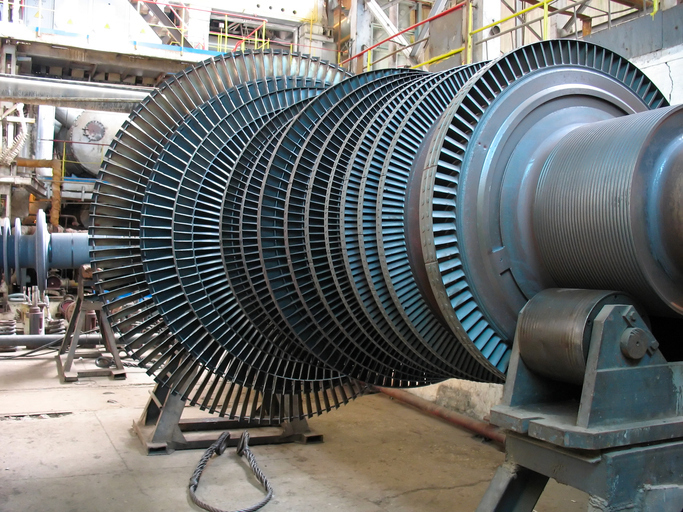 For Texas generating plants, both natural gas and steam turbines (like this) work by forcing gasses past multiple blades to spin the turbine to create electricity. What Is the Problem with GE’s Turbine Blades? GE’s financial difficulties continue as a recent discovery has shown that the blades in its flagship turbine have an oxidization issue. Oxidization exposes the blades to the possibility of rust and rapid deterioration. Currently, four natural gas generator units in Texas have been forced to pause operations until technicians from GE can amend the problem. For the moment, these shut downs are not effecting the price of Texas electricity rates or reliability of service. The blades affected four of the HA-class combine cycle turbines, but more units are expected to be affected as well including older FB turbines as well. GE argues that they can fix the problem and believes that it’s a consequence of how new the product is. However, that hasn’t stopped investors from reacting. GE stocks fell slightly as a result of the news. How Do Turbines Generate Electricity? The oxidization problem threatens the turbines’ performance because the blades spin at very high velocities inside the turbine to generate electricity. Combined cycle turbines work like a more complex version of an airplane’s jet engine. Fuel burns to heat air that spins the turbines, the turbines turn magnets around coiled wire, generating electricity. Oxidation on the blades not only creates turbulence and slows down the speed of the blades but also has the potential for weakening the and reducing their lifespan. The HA-class turbine part is a new system praised for its efficiency at 62.22 percent efficiency. GE’s system uses the exhaust heat from natural gas combustion in the main turbine to boil water to steam and power another turbine — thus creating more energy. While praised for its efficiency, this problem has sparked criticism about GE’s future. Will GE’s Oxidation Issue Affect My Energy Rates? If you’re in the market to shop for a new Dallas electric supplier, you don’t need to worry. The problems at these plants shouldn’t affect current customers as electricity will be routed from other areas to meet demands. These types of hiccups on the path towards more efficient energy generation will happen as companies strive to compete in Texas’s deregulated electricity markets. Where Can I Learn More Information About Texas Energy Rates? If you’re like most people, you have the power to choose an energy plan with the cheapest energy rates. Staying informed about what’s happening in the Texas energy industry will help prepare you for when you decide to shop for the best electricity plan. And remember that you can choose from several reputable Texas energy companies. While it can be overwhelming for ONCOR customers, comparing Dallas electric rates doesn’t have to be. Visit www.TexasElectricityRatings.com for more information on energy trends and for expert tips on how to compare, shop, and switch to the best electricity plan for your specific needs.